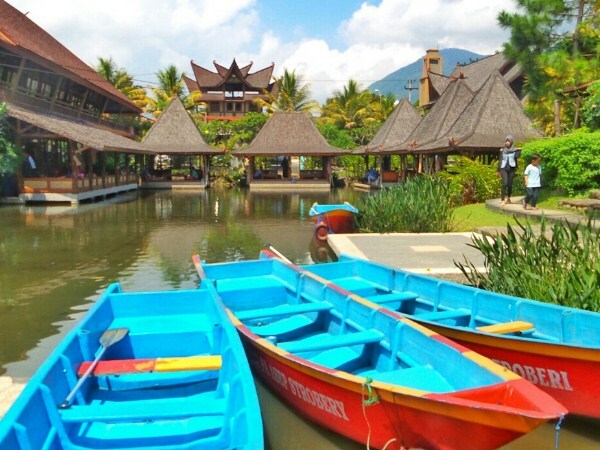 In our previous articles, has been discussed about some family attractions and also the most beautiful natural attractions, located in the city of Garut. 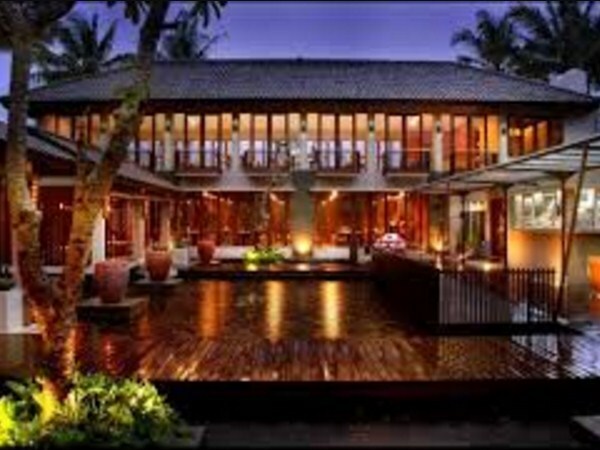 However, it seems incomplete if we don't have discussed about restaurants, which are quite famous in this city as well. Therefore in this article, we will discuss, about some of the most famous restaurants, which many tourists visit that places. Sari Cobek Restaurant is located in Cangkuang Village, Leles District, Garut. It's not only because of this restaurant have near to Cangkuang Temple tourist attractions, but also this place has a setting that is above of the pool, who making this restaurant more interesting to visit. Pak Asep Strawberry's Restaurant is located in st. Kadungora, Leles District, and st. Cimaragas, Cilawu District, Garut. Pak Asep Strawberry's Restaurant has a large area and beautiful scenery. This restaurant, are located in a very strategic location, refresentatif, and has complete facilities. That's why many tourists visit this restaurant. 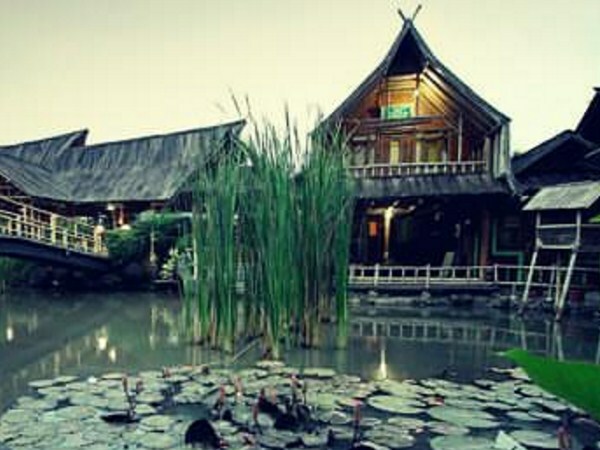 Racik Desa Restaurant is located in st. Tarogong, Tarogong District, Garut. 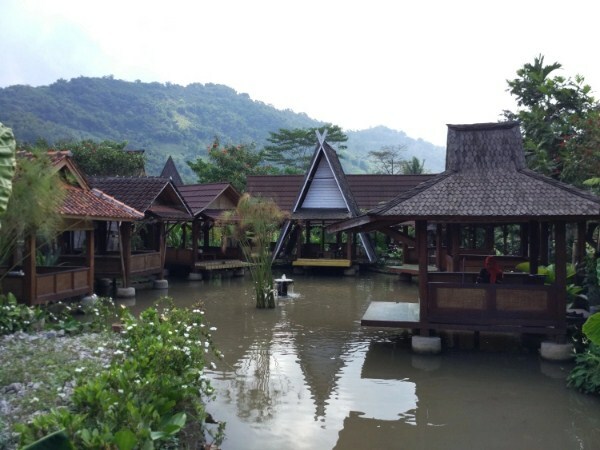 Racik Desa Restaurant becomes one of the most popular culinary attractions in Garut. The food in this restaurant really delicious, but has an affordable price for everyone. Besides that, the atmosphere around this restaurant, are very beautiful also. 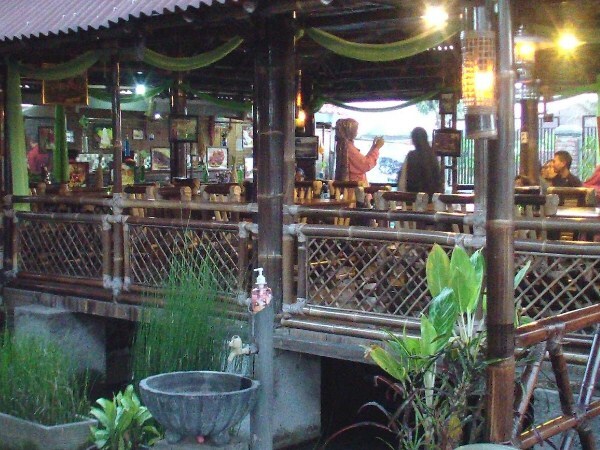 Saung Pananjung Restaurant is located in st. Cipanas Baru, Pananjung District, Garut. Saung Pananjung restaurant has its own characteristics, by the form of foods made from lamb meets. 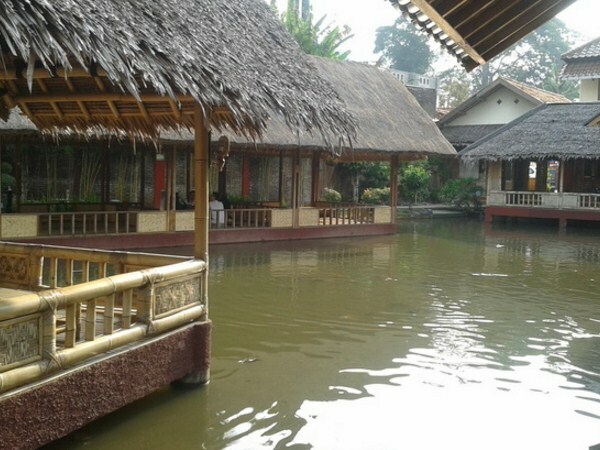 It makes this restaurant, as one of the popular restaurants in Garut, especially for tourists who visit this city. Soto Ahri Restaurant is located at st. Mandalagiri, Gang Harjo, Garut Kota District, Garut. 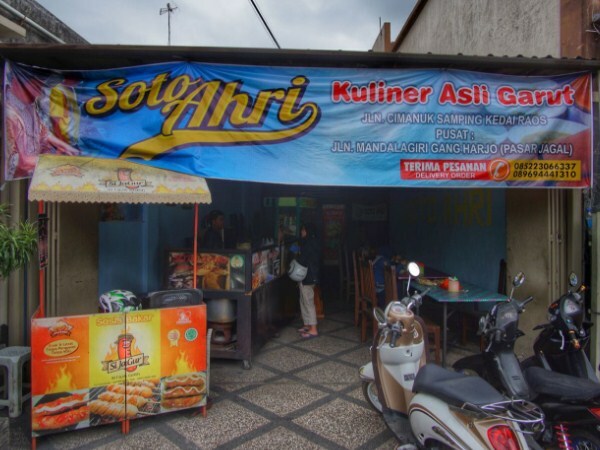 This restaurant is quite popular among the people of Garut, especially for those who like to eat Soto. Soto Ahri Restaurant, currently has two branches, who located in Bandung and Tasikmalaya. Jemanii Restaurant is located in st. Cipanas, Cimanganten District, Garut. Jemanii Restaurant is one of the popular restaurants in Garut. Although the price of a food in this restaurant is quite expensive, but because the place are quite clean and also has a natural scenery, make this restaurant have a lot of visitors. Cibiuk Restaurant is located in st. Cikuray, Garut Kota District, Garut. Cibiuk Restaurant is one of the famous restaurants in Garut City. This restaurant has famous with they super spicy Cibiuk sauce. Cibiuk is the name of a district in Garut, which is quite famous for they spicy sauce. In the past, Cibiuk sauce was a special dish, for the important guests. After you feel satisfied for walking around and traveling in the Garut City, then your stomach feels so hungry, you can visit one of the restaurants, which we've discussed above. In addition to its delicious food, the restaurants have offered a cozy atmosphere, and make us feel at home also.